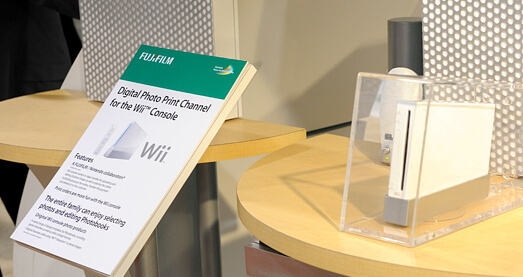 The Digicam Print Channel, which is an exclusive to Japan, might finally be coming outside its borders. Some sleuths found a trademark on the European trademark database that suggests that the Digicam Print Channel will be coming to Europe, under the name Photo Print Service Channel. If you haven’t heard of this channel yet, it allows users to take their pictures off from an SD card and print them, make Nintendo themed photo albums, or even business cards with Nintendo backgrounds and your Mii on it. This is an interesting concept, but will it be a hit outside Japan? I think the business cards are a necessity, and a Nintendo Star one would be very cool! Usually these kinds of things are much more popular in Japanese culture vs. western culture due to the image of professionalism being separate from video gaming.